Curry School professor tackles teacher turnover in Head Start with a new research grant funded by the American Educational Research Association (AERA). 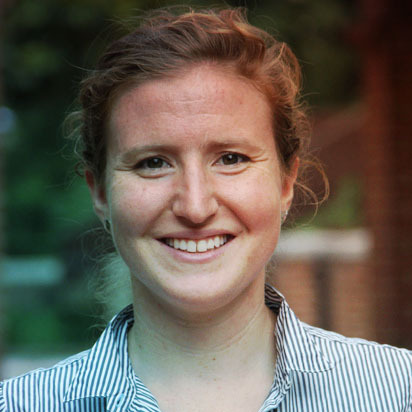 Anna Markowitz, a research assistant professor at the Curry School of Education and a developmental psychologist at CASTL and EdPolicyWorks, has been awarded $20,000 to study teacher instability in Head Start a large, federally funded early childhood program designed to serve America’s most vulnerable children. However, researchers are just starting to examine the early childhood workforce after considerable growth in numbers and education background in the last decade. “Despite an increased public interest in developing a well-trained, well-paid and stable early childhood education workforce, there is surprising lack of evidence about the causes and consequences of within-year teacher turnover in these settings,” Markowitz said. Markowitz’s work will examine the relationship between within-year teacher turnover and children’s development in Head Start from 2006-2015. This work will also explore how teacher characteristics and program-level factors, such as leadership, relate to turnover in Head Start. Public investments in early childhood education have risen steadily over the past two decades. The Federal government spends more than 9 billion dollars on Head Start and Early Head Start government annually. “We have surprisingly little research on the impacts of teacher turnover on young children’s development. ” explained Daphna Bassok, an associate professor at the Curry School and associate director of EdPolicyWorks. “Anna’s project will provide some of the best evidence to date on this topic, and will also explore factors that may help retain teachers in early childhood” continued Bassok, who is an early childhood researcher and a mentor to Markowitz. The AERA grants program, supported by the National Science Foundation (NSF), seeks to stimulate research on U.S. education issues using data from large-­scale national and international data sets. Markowitz began analytical work on the project this month. “I’m grateful to AERA for funding this project, and I’m excited about the network of other scholars I’ll be joining,” she said. Markowitz received her Ph.D. from Georgetown University in 2016. She recently completed a post-doc at EdPolicyWorks before starting as a research assistant professor at CASTL. The Center for Advanced Study of Teaching and Learning (CASTL) is an interdisciplinary research center situated within the Curry School of Education. The center provides leadership on effective teaching and learning through scientific study in educational settings from infancy to higher education.